In Faulkner's novel, Sound and the Fury, there are several quotations that provide a glimpse into the lives of the characters. Research papers on William Faulkner's The Sound and the Fury can look at quotes within the novel and explicate how Faulkner uses his characters to illuminate his themes. The literature writers at Paper Masters can custom write a research paper on any aspect of Faulkner's The Sound and the Fury. Throughout William Faulkner‘s novel, The Sound and the Fury, there are several quotations that provide a glimpse into the lives of the characters. Some are quite simplistic while others give an incredible amount of depth; some discuss the primary characters while others characterize those in the next generation. One of the simplest quotes in the novel comes from Benjy when he describes Caddy—“Caddy smells like trees,” he says. He has associated his happiness with Caddy from childhood with the smell of the trees the two played in. She was his only source of love and the only one that fulfilled a motherly role, and developed a very close bond to her over all others. When she becomes sexually active, though, the relationship between the two changes. Caddy becomes more distant from her brother, ultimately breaking his heart, and causing him to note that she no longer smells like trees. He can no longer make the pleasant association between their relationship and the happy times they spent playing together as children. Another quote provides insight into the character of Mrs. Compson, the mother of the primary characters. She says, “Whoever God is, He would not permit that. I’m a lady. You might not believe that from my offspring, but I am.” She is referring to the possibility that Miss Quentin, Caddy’s illegitimate daughter, has run away. Though Mrs. Compson was largely an absentee parent throughout the lives of her own children, she still wants to take credit for their behavior. Even though she did little for them as children, she still feels that her children’s behavior reflect her; the way they behave makes it known whether she is a good person or not. Furthermore, she thinks that she is held in a higher regard by God Himself, that her status as a “lady” would prevent Him from allowing any harm to come to her or her family. She has distanced herself so greatly from her children that she does not have the right to make a claim to a connection between them and her, yet she does anyway, illuminating her selfish and self-serving behaviors above all others. 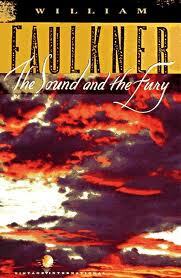 Some of the other parallels between The Sound and the Fury and the later novels embody both similarities and contrasts, in that episodes, images, and plot elements are drawn from The Sound and the Fury, but the means Faulkner uses to incorporate them in the later texts are not wholly analogous to their placement within the earlier novel. The God of Small Things - The God of Small Things research papers on the Indian novelist Arundhati Roy. As I Lay Dying - As I Lay Dying research papers on William Faulkner's novel, examine his most important work. Absalom, Absalom! - Absalom, Absalom! research papers examine the novel by William Faulkner and the themes throughout the body of work. Symbolism in As I Lay Dying - As I Lay Dying Symbolism is a book about a family’s journey to fulfill Addie’s dying wish, the story is expressed through symbolism. Paper Masters writes custom research papers on The Sound and the Fury Quotes and explains the meanings of two quotes from the novel by William Faulkner.